Today is International Women’s Day and what better way to celebrate it than to give tribute to all the hardworking women in the world. For the longest time, society has dictated what women should do, where they should work, what they should wear and where they should go. That’s not the case anymore. Today, women are working their way up in male-dominated fields. More and more women are occupying the highest seats in the biggest companies in the world.There are also iconic women rising to the top of public service. And incredibly, women are slowly being known as great influencers. Smartsuperwomen.com was created in 2011 to help women from all walks of life reach their fullest potential. To celebrate its 7th year, this website will be improved and re-launched to meet the needs of more women in different fields. So whether you are a mother, a working woman or an entrepreneur, smartsuperwomen.com will be here to help you. It will also continue sharing stories, tips and informative articles which can serve as a woman’s guide in everyday living. These changes in the website represent the progress women have made throughout the years. So cheers to all mothers, women in the corporate world and the business industry. Cheers to female public servants, influencers and doers. You are the reason why we celebrate today. 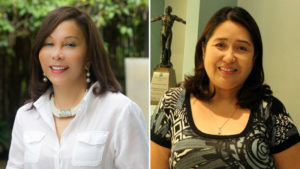 Rossana Llenado is the president of AHEAD Learning Systems Inc.
To kick of National Women’s Month, Go Negosyo sa Radyo aired a femme-powered episode on March 1 with two phenomenal women entrepreneurs as guests. Hosts Sen. Bam Aquino & DJ Cheska San Diego-Bobadilla were joined by Emma Imperial of Imperial Homes and Rossana Llenado of AHEAD Tutorial and Review Center. Both have been previously awarded by Go Negosyo (Imperial in 2015 and Llenado in 2016) for being women entrepreneurs worth emulating. On March 30, Go Negosyo will award another batch of women in the Inspiring Filipina Entrepreneur Awards 2017 which will be held in the prestigious Malacañan Palace. Much like Imperial and Llenado, the women who will be given recognition are those who have sparked significant progress and inspired change in the entrepreneurial community. 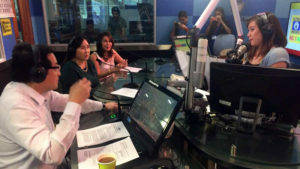 Sen. Bam and DJ Cheska began the episode by setting the tone for the listeners. At the end of the hour, they hoped to have uplifted the listeners and opened their eyes to the nuances of women entrepreneurs’ experiences. Emma Imperial was the first to share her story. She is a well-decorated and respected CEO in the realty industry wherein her male counterparts mostly dominate. Imperial shared that at the onset of her career, she had to prove herself as someone worth paying attention to. “Big developers are usually male and the engineers that work for me are mostly male as well.” Despite these odds, Imperial has managed to lead her company to becoming well-recognized globally. With recognitions under her name like Biz News Asia 2016 Entrepreneurship Awardee and Filipina Women Network’s 100 Most Influential Filipinas 2015, it is an understatement to say that Imperial is at the top of her game. Likewise, her company is equally laudable and has even received international attention. Imperial Homes Group of Companies was awarded by the CEO Asia Awards 2015 as the ADEC Innovation Green Company of the Year, certified by IFC-World Bank Excellence in Design for Greater Efficiencies (EDGE) for Green Building, and recognized by the Financial Times in 2016 as a nominee for the Transformational Business Awards. “You don’t have to be big to be counted in the global community. It’s about innovation and how you believe you’ll help your country; it’s not about the size but the idea,” Imperial shared. Her big idea manifested when her company decided to construct solar-powered small houses. It was for them, a way to address the backlog of housing in the country as they were low-cost and efficient. In a country where solar power is somehow relegated to more expensive projects, Imperial homes saw the potential for them to be ideal for the provinces where brownouts were frequent. The switch to solar meant that these areas would never have to suffer from power cuts and solar at scale would actually be energy and cost efficient. It was a revolutionary idea: solar power for low-income families. After her company started this project, many took notice. “Ginawa tayong poster child ng World Bank,” Imperial proudly says. She also shares that it’s important for women in business to have camaraderie. She shares that when she was starting in her industry, it was hard to be part of bigger projects because the men would already have a so-called “boys club” and she would be left out. Today, she happily shares that women entrepreneurs have already set-up similar groups to support each other and they often meet about projects related to nation-building. Rosanna Llenado was the second guest who shared her story and insights on what it means to be a successful woman entrepreneur. She was named as one of the 100 Most Amazing Filipinas by Summit Media in 2012 and received numerous awards from the Philippine Marketing Association, Philippine Chamber of Commerce and Industry, and Entrepreneur Magazine. Her business, AHEAD is one of the most venerated tutorial and learning centers in the country. As one of the first tutorial centers to offer college entrance exams review programs, Llenado eventually expanded their services to offer a wide range of programs to complement students’ learning. Recently, they’ve put a center that focuses on teaching Singapore Math— a method that she believes is more functional and practical which eventually makes student’s more proficient at the often dreaded subject. They’re also offering courses on speed reading and mind-mapping which are valuable skills for any student tackling difficult and lengthy reading materials. From a small business started at her home, AHEAD has now risen as the go-to tutorial center in the metro because of its quality and comprehensive programs that position students for excellence. When Llenado was asked about her opinion on Filipina entrepreneurs, she says that a lot of Filipinas are still scared to enter into business. 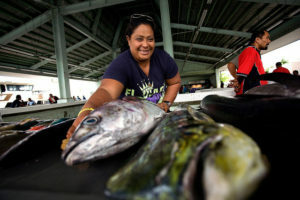 But what most Filipinas don’t know, she said, is that we’re relatively lucky compared to women from other countries. She discovered this fact when she conducted a research on women entrepreneurs across the world. She found out that the Philippines was ranked #5 on the list of women-friendly countries for business. She further shares that there are some countries wherein women aren’t allowed to have properties or businesses registered to their name and would have to put them under their father’s or husband’s. She recognizes that there are a lot more women entrepreneurs now compared to when she first started AHEAD. But she says that despite this increase, women will still encounter struggle or discrimination, especially when they’re just starting out. “I also had an experience when I struggled with doing business as a woman; I was invited to do business with these group of guys. Despite the welcome positive change of more women entering business, Llenado wishes however, that more women in our country would hold positions in different boards. She noticed that most board of directors and trustees are still predominantly male. “Women can lead. We’ve had two women presidents! And in the senate and company presidents, ang dami rin babae.” So, why should the boards be different, right? Times are definitely changing—for the better—for women. We can now aspire to be anything and everything we want to be, especially in the professional and business world, and we’re more likely to succeed too. Women have been elected president of a country, been named CEO of a conglomerate, become a much sought after motivational speaker or financial guru. But, admittedly, it is still not easy for any woman who attempts to break the glass ceiling. The higher up the corporate or business ladder women go, the harder we’ll need to compete and prove ourselves in a still largely male-dominated world. So how do you make it in a room filled with men? Here is a seven-point action plan you can adopt in your fight for recognition, promotion, or excellence in your chosen profession or industry. Create a strategic plan. Don’t just passively wait to be noticed. Instead, map out a platform for success and then follow through with your plans. 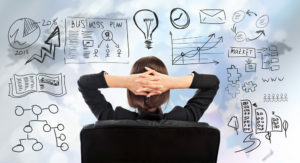 To find motivation, you can study the profiles and career trajectories of women achievers. For example, you can do research on Jessica Cox, a motivational speaker and pilot who was born without arms and who steers airplanes with her legs. Or look up the accomplishments of award-winning Dr. Josette Biyo, the executive director of the Philippine Science High School who has a planet named after her in recognition of her excellent body of work. In your own company, don’t hesitate to ask a close superior or director, both men and women, about their strategy as they moved up the corporate ladder. Promote yourself. Think of yourself as a marketing expert who needs to introduce herself to a whole lot of people and who has to build relationships. Take on difficult challenges and risks to stand out and eventually get promoted. Consider also serving on board meetings to raise your visibility, and stay active in professional associations and search for leadership roles and responsibilities. Be proactive. Don’t hinder your own growth by becoming complacent or content. Actively seek training, seminars, and workshops to keep learning professionally and improve your work or entrepreneurial skills. Find work you enjoy. It may be a cliché, but doing work that truly gives you joy is half the battle. Look for a work culture that complements your strengths, limits your weaknesses, and is easier to endure in times of isolation. You are more likely to stay motivated in the face of gender-related hindrances when you are passionate about what you do. Develop a plan to counter discrimination. Yes, intolerance still exists today, even in the workplace. Develop a plan to combat discrimination, but remember that not everything that may go against you is an attack on you, so choose your battles carefully. If you have trouble coping, it may be good to seek professional help or advice. Have realistic expectations. Many women enter the workplace thinking that breaking new ground would be a breeze. When their expectations are not met, they give up or decide to settle for less. Learn to accept that not everything will go as planned, and prepare for setbacks by studying how you can stay strong as you strive to overcome opposition or failure. If you believe that it’s only in emerging economies like the Philippines that issues such as double standards, gender-related salary imbalance, and the glass ceiling still exist, think again. Globally, in both developed and developing countries, “girls and women battle commonly held views and beliefs that limit their opportunities and potential,” including myths such as “women are better suited for baby-making than money-making,” says Katja Iversen, CEO of Women Deliver, a global advocate for investing in the health, rights, and well-being of girls and women. She adds that women have demonstrated they can build informal and formal businesses out of very little capital, create networks to maximize limited resources, all while shouldering the traditional responsibilities placed upon them, duties like child- and home-care. “Women succeed in spite of laws, policies and institutions that hold them back, but it is a constant struggle. It is time to create supportive environments for women to thrive economically, and bust these myths once and for all,” she declares. Iversen references a recent McKinsey Global Institute report that found that if women play an identical role in labor markets to that of men, as much US$28 trillion or 26% could be added to global annual GDP by 2025. This spending drives improved access to education, nutrition and healthcare, says Iversen. Evidence also shows that it is not merely a woman’s increased income, but rather her control over that income that helps her achieve economic empowerment. A study in Brazil indicated that the likelihood of a child’s survival increased by 20% when the mother made financial choices. But Iversen notes that economic decisions by women are “intricately wrapped up” in cultural and social issues relating to gender, age, ethnic background, health or physical status, and overall social hierarchy. Women don’t work less than men; in fact, they often work more, Iversen stresses. 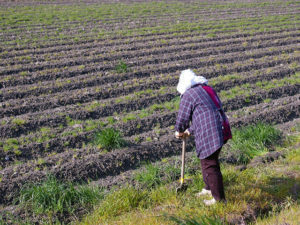 The issue, she adds, is that their work is unpaid and often unregistered—rearing children and caring for the elderly rarely produces a paycheck. In some regions like South Asia, the Middle East and North Africa, women shoulder up to 90% of unpaid care work. “It’s time to balance the scales,” says Iversen. Iversen points to evidence showing that it is not merely a woman’s increased income, but rather her control over that income that helps her achieve economic empowerment. “When a woman holds the strings to the family purse, that family is more likely to thrive,” she says. She notes how Brazil’s Bolsa Familia Program, which is like the Philippines’ own Pantawid Pamilyang Pilipino Program but which provides cash transfers directly to the female head of households, was able to account for up to 25% of Brazil’s reduction in inequality and 16% of its drop in extreme poverty. The truth: In the US, every $1 invested in family planning results in $7 of savings; in developing countries like Jordan, $1 can result in as much as $16 in savings. The Copenhagen Consensus showed that every dollar spent on modern contraceptive methods will yield $120 in overall benefits. In the case of the Philippines, the country enacted five years ago the Responsible Parenthood and Reproductive Health Act of 2012 (Republic Act No. 10354), or the Reproductive Health Law or RH Law, which guarantees universal access to methods of contraception, fertility control, sexual education, and maternal care. However, the law’s full implementation remains on hold as critics continue to raise strong opposition to the decree. Iversen also comments that companies that invest in family-friendly, gender-responsive policies have found high returns on their investments, including reduced absenteeism and increased productivity.